Your choice of HVAC service provider has a direct impact on your quality of comfort at home. 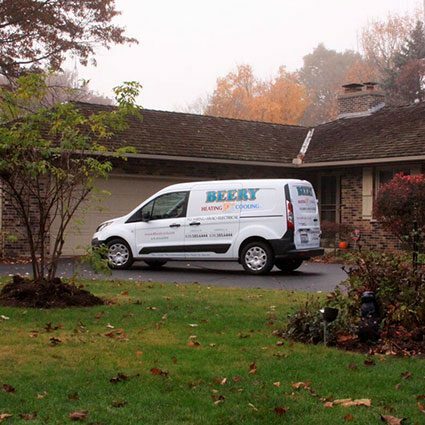 Beery Heating and Cooling specializes in crafting indoor-air environments for Yorkville, IL, homeowners. With service to the Yorkville area since 1980, we are a leading resource for furnace/boiler and air-conditioning installation, repair and replacement. We’ve perfected the art of indoor-air environments in Yorkville through years of training and hands-on education and experience. To customize your preference of air and temperature at home, we start by profiling your preferences in each area. We then note details that influence your comfort, such as window treatments, insulation and ductwork. This is how we develop a clear image of what your home system will need to achieve for you. We then review your available options with you, including how you might want to approach heating and cooling efficiency, temperature control, humidification and indoor-air purification. You’ll appreciate the results of what this focus reveals. Having the right climate control and maintenance means everything to your comfort at home. Heating and cooling technology constantly changes, so you want to consult with professionals who are current with industry science. You also need them to match the right equipment and systems to your home’s different spaces. Beery Heating and Cooling installs, repairs and maintains furnace/boiler and air-conditioning units in Yorkville, including for new construction, remodels and upgrades. Whether your home is new or already built, our specialists offer the equipment and service you need for optimal heating and cooling. A problem with a furnace, boiler or air conditioner can arise at any time too. Should you need repair in Yorkville, we’re available 24 hours a day with a solution. We’ll also guarantee your satisfaction. As our Yorkville customer, you can take advantage of our Planned Maintenance Program as well. This special agreement includes same-day service, no additional charge for after-hour visits and 15% off discount pricing for Beery heating/cooling services. We invite you to contact us for more information. Call (630) 585-6444 today to discuss our furnace/boiler and air-conditioning installation, repair and replacement for Yorkville, IL. Ask about our air-conditioning cleaning as well! Beery Heating and Cooling serves Yorkville with skilled plumbing and electrical service as well. Whether you need repair, remodeling, replacement or routine maintenance, we offer the knowledge and skill for keeping your system efficient and fully functional. Call (630) 585-6444 today to further discuss our plumbing and electrical work for Yorkville, IL. Beery Heating and Cooling is just as proficient with commercial heating, cooling, plumbing and electrical as with our residential work. Whether it’s repair, maintenance or replacement you need for your business, we can serve you swiftly within your budget. Find out more about our commercial services for Yorkville, IL – call us at (630) 585-6444 today.